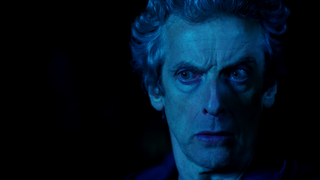 Wait, Is There Really Going To Be No New Season Of Doctor Who In 2016? Doctor Who fans are just over a month away from an explosive new season of the show—but apparently that might be the last drip of new episodes we get for a while, with a rumor claiming that the show won’t be returning in 2016. At least for a full season. The report also alleges that the decision comes from an ongoing tussle between the BBC and Steven Moffat, who is under pressure from the corporation to stand down from Doctor Who and commit his time to Sherlock, instead of attempting to manage two of the BBC’s most popular dramas at the same time. Private Eye have a proven track record of Doctor Who rumors, accurately reporting on the departure of former producers as well as the show’s previous scheduling decisions. It’s interesting to note that the report also says that there is no “full” series planned, leaving the potential open for a series of specials (similar to the show’s hiatus in 2009, following the departure of both David Tennant and Russell T Davies) or even as was the case with seasons 6 and 7, the option of a split series—an unpopular move—with some episodes airing in 2016 and the rest airing in 2017. Whatever the case is though, it seems like there’s a good chance Doctor Who fans might be spending a good chunk of next year twiddling their thumbs in anticipation.